Ever wish the TV would turn on right when you came home from a long day at work? Now you can live the dream by shelling out for some SmartThings home automation gear and a Logitech Harmony remote. 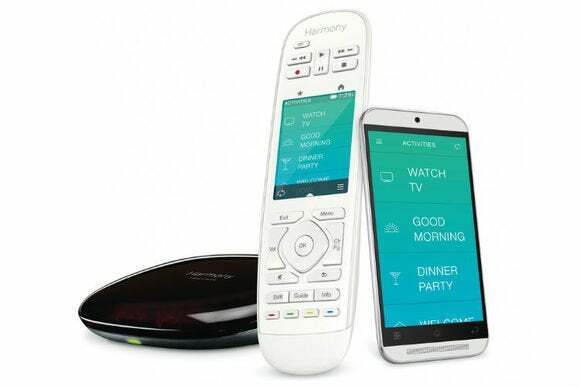 SmartThings has added Harmony integration to its home control hub and apps. So for example, you can automatically power up your TV and speakers by turning on the living room lights, or have your stereo system turn off when you close and lock the front door. Why it matters: Not that turning on the TV yourself is a huge burden, but it’s good to see home entertainment play nicely with home automation. TVs and speakers are often missing pieces in the vast landscape of competing automation systems, so Logitech’s willingness to partner with various home automation providers puts it in a unique position. While the partnership between SmartThings and Logitech is praiseworthy, it still sounds a bit complicated to set up. As described in a SmartThings blog post, first you need pair your SmartThings hub to the Logitech hub using the Harmony app. This allows you to control various home automation products through Logitech’s remote control and app. But if you want to set up specific events—like the TV on scenario above—you must use a separate SmartThings app to create triggers for Harmony activities. So in addition to needing two hardware hubs to tie your electronics together, you also need two apps. The whole concept is begging for some kind of standard or leading tech company (say, Apple) to simplify things and to rally around. For those going the SmartThings/Logitech route, keep in mind that only Logitech’s latest Harmony Home Hub, Home Control and Ultimate Home devices are supported for now. SmartThings integration is coming to previous devices in the coming months through a firmware upgrade, though it’ll require a small fee.